Parliament is to elect a new President soon. The UWP is considering its response to the government's nominee. Parliament will be meeting soon to select a new President because the one-year term of His Excellency President Eliud Williams ends in October. Parliament is expected to meet in September to discuss the matter. 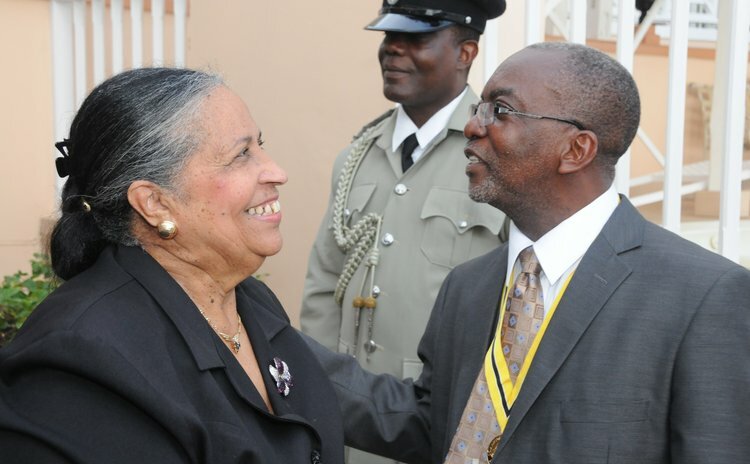 Last year President Williams replaced Dr. Nicholas Liverpool demitted office because of "ill health." However, the United Workers Party (UWP) has challenged, in court, the manner in which Dr. Liverpool left office and also how the Speaker of the House, Alix Boyd Knights dealt with the election of a new President. The UWP argues that the Opposition Leader was not properly consulted, in accordance with the Dominica Constitution. This time the UWP has not yet decided how it will react when the issue comes up for President Williams' reappointment. When contacted by the Sun, Opposition Leader Hector John stated: "I just got a letter today (August 27, 2013) from the Prime Minister as it relates to that, (the election of a President for Dominica) I have not yet discussed it with the rest of my colleagues and so cannot at this point in time respond to your questions as to where we are and who we are going to support." Part of the UWP's discussion would undoubtedly include the state, and current relevance, of the case against the first appointment of President Williams. Recall that on February 22, 2013 Justice Lionel Jones ruled that he had accepted the contention of the respondent/claimant, Opposition Leader Hector John that he has a significant role to play in the process of the election of a President and for this reason, "I hold that his locus standi is indisputable" and that the case "should proceed to trial." The Judge also questioned a certificate produced by the Speaker Knights certifying the election of Williams as President of Dominica. "It seems to me that from the above, the integrity of the Speaker's Certificate is in question and a clear path to the Court under section 103 remains open. I hold in the circumstances that this court has jurisdiction to entertain this claim," Justice Jones stated. According to Justice Jones, after giving careful consideration to the arguments and authorities cited in this matter and in all the circumstances, "I hold that the Court has jurisdiction and the claim in not frivolous, vexatious nor an abuse of the process of the court. "The framers of the Constitution of the Commonwealth of Dominica never intended that the election of the President, the Head of State should become entangled in controversy. The role of every participant in the process is clearly spelt out. But like in all spheres of life, dispute arises from time to time." He continued, "Where the jurisdiction of the Court is excluded by the Constitution or any other law, the Court jealously and scrupulously would examine the circumstances to ensure that its process is not compromised or brought into dispute. The jurisdiction of the Court is not ousted by simply waving a Speaker's Certificate in its face."